The gingerbread house is the ultimate crafty Christmas bake, the smell of freshly baked gingerbread is one that defines Christmas and evokes all the warm, cosy festive feels. 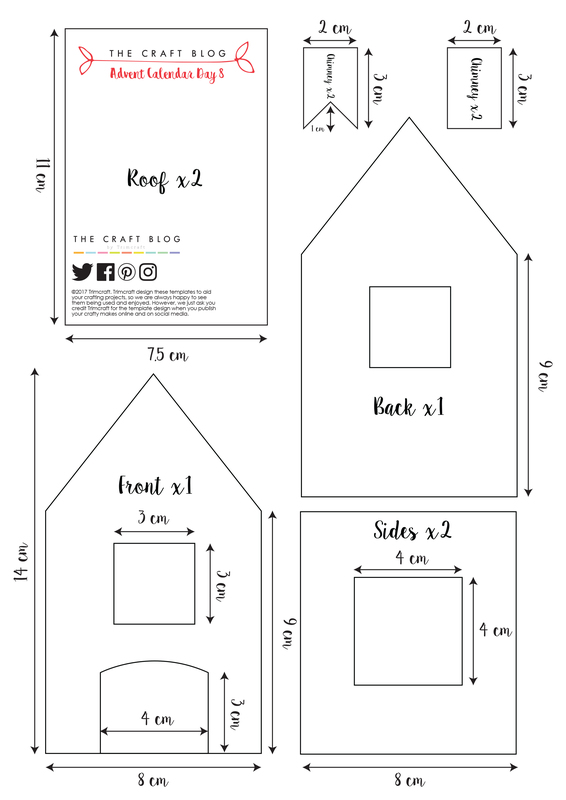 We've created a simple template to help you bake and construct a little festive fairy tale magic in your own kitchen. This is a simple yet impressive project with many options for adding your own creative flair. This recipe makes two gingerbread houses, with a little left over to make a few extra decorations such as trees, stars and gingerbread people too. A Selection of Sweeties, Biscuits, Chocolates and Festive Sprinkles. 1.Pre-heat your oven to 175°C/160°C fan/gas mark 3 and begin by downloading and cutting out your template. 2.Line a large baking tray with greaseproof paper cut to fit the baking sheet snugly. 3.Combine the butter, sugar and golden syrup in a saucepan. Stir the mixture over a low heat until melted and smooth. Set aside to cool. 4.Sift the flour, ginger, allspice, bicarbonate of soda and salt into a large mixing bowl. Next, stir in the cooled syrup mixture and the egg yolk. Mix all of these together until you have a smooth dough. 5.Place the pre-cut sheet of greaseproof paper onto your work surface. Dust a little flour over the dough to prevent sticking. Roll the gingerbread out onto the greaseproof paper to 4mm thickness. 6.Place the template onto the dough and use a knife or a pizza cutter to cut around the template. Gingerbread expands a little as it bakes so be sure to leave a little space between the shapes, around 5mm should do the trick. Once cut, lift the greaseproof parchment, carrying the gingerbread, onto the baking tray. If you'd like to add window panes do so at this point. Place a few glacier mints into a ziplock bag abd bash the mints with a rolling pin so that they break into small pieces. Sprinkle these broken pieces into the windows. 7.Bake for 12 - 15 minutes until golden brown. Smaller pieces, such as the chimney and door will bake a little faster than the larger pieces so be sure to keep an eye on the dough during the final few minutes of baking. 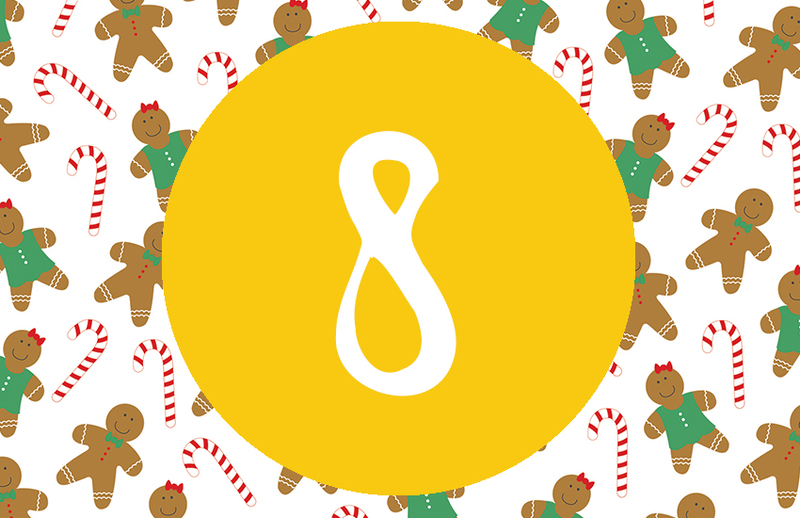 8.Allow the baked gingerbread to cool completely. 9.To assemble the house, begin with the front, back and outer walls. Arrange the pieces in the order you are going to assemble them in. Begin with the back and pipe a line of icing along both inner edges then join the walls to the back. Pipe extra icing along the inner join for extra support. Repeat this process with the front of the house. 10.To assemble the chimney follow the above method starting with a flag shaped piece, the V shape needs to be at the base of the chimney so it will fit over the ridgeline of the roof. 11.Allow both the base of the house and the chimney to dry for at least 1 hour before starting to assemble the roof. To attach the roof, pipe a line of royal icing over the exposed A-line edges at the front and back of the house. Place both sides of the roof onto the house, ensuring the eves overhang evenly. The roof will want to slide a little, so hold it in place for a few moments to make sure it is fixed into position. 12.Attach the chimney to the roof with a little royal icing once the roof has set. Royal icing - also called piping icing in some shops - is my glue of choice when assembling Gingerbread Houses. It's available in ready to use format from most supermarkets and comes in a variety of colours. It's soft enough to make adjustments whilst working on the house but is firm and solid once dry. Melted chocolate or even caramel, for the brave, can work well too. Battery operated tea lights or fairy lights are the best for adding a twinkle to your display. Candles can scorch the gingerbread and melt the decorations. There is enough dough here to make a couple of gingerbread houses and some decorations. You could add gingerbread people and I like to cut out triangles of the dough to make trees. Get creative with decorations. Pretzel sticks make excellent cladding, breakfast cereals such as Shreddies make a great thatched roof and chocolate buttons make lovely roof tiles. Be sure to work from the bottom of the roof upwards when tiling. Sprinkle a little granulated sugar or desiccated coconut over the house once decorated for a sparkly snow finish! Gingerbread lasts around one month once baked. However do bear in mind that if left out on display the house soften if left in a warm place and will gather dust if left for a long time, which will make them less desirable to eat. If you would like to eat the house or intend to gift it I would recommend no more than a couple of days for display. If you need to get ahead, gingerbread dough can be frozen for up to 1 month, and you can bake the pieces then store them in a Tupperware box or zip lock bag for a few days until you are ready to assemble. How will you use Elle’s Gingerbread House? We’d LOVE to see, so don’t forget to #trimcraft and @elle_jane_ when uploading to social media and to share your yummy makes in the Inspiration area.